Yong Joo has over 25 years of competitive golfing knowledge he brings to his instruction. Yong grew up playing competitive golf his entire career from high school, AJGA, NCAA Division 1 Golf Liberty University and 11 years on the road on Mini tours chasing his dream. 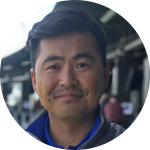 Yong has been a full time instructor for 5 years, teaching over 4000 lessons and is a PGA member and in 2016 was nominated for the Teacher of the year for Middle Atlantic PGA Section. Yong has won many event throughout his career from Junior events to college winning the Big South Conference Individual title in 2000. He has also won events in Gateway, Hooters and other Mini tour event and still plays in many of the section and national events run by the PGA of America. Jake is the Lead Instructor at Topgolf’s Loudoun Venue. He has helped many golfers improve their game and enjoyment of the sport during his 20 years of playing. He has competed in a number of events back in his hometown of Greenwich, Connecticut. This summer, Jake was accepted in the PGA of America’s Apprentice Program where he will work to pursue PGA Membership over the next few years. 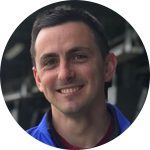 Jake is passionate about helping golfers and guests at Topgolf improve their game, and is excited to share his experiences to help other golfers get to the next level in this great sport.